Download the 1080p version from http://lt11.com/downloads2/ free! Louder Than 11 is proud to present, "Threat Level Colombia", a documentary about climbing in Colombia, South America, a cultural trip and climbing tour. 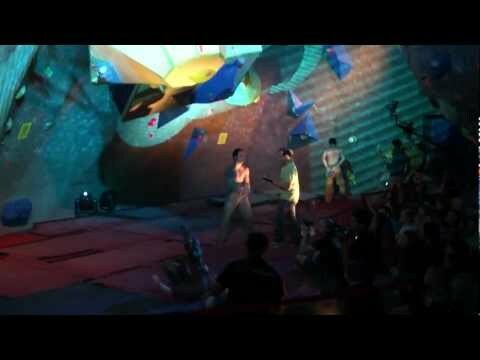 A team of seven Americans consisting of Kara Caputo, Jon Glassberg, Jonny Hork, Ben Hoyt, Nic Sherman, Jordan Shipman, and Carlo Traversi spent two weeks around the capital city of Bogota, searching or new boulders, establishing first ascents, and soaking in some of the best nightlife on the planet. This is the documentary about their journey to Colombia and the experiences they want to share with everyone in hopes of motivating you to make the trip to one of the best destinations around. Free. Whether you like it or not. Copyright © 2011 Louder Than 11, LLC.